Learn how easy it is to use the chocolate chip challah mix to create your favorite gluten-free pastries! Grab a bag of Blends by Orly Chocolate Chip Challah Mix and follow the easy Basic Brioche recipe below to make a delicious buttery brioche dough that you can use for so many yummy pastries! Salivating yet? Click on an image and try some of our favorite recipes! In the bowl of your stand mixer with the paddle attachment combine the dough starter ingredients- 1 cup chocolate chip challah mix, yeast and milk- and let sit for 10 minutes. This allows the yeast to start its magic before we add the rest of the ingredients. Add the eggs, and vanilla and the remaining contents of the chocolate chip challah mix to the bowl and mix together on low speed for 2 minutes. Increase mixer to medium speed and mix for another 2 minutes, until fully incorporated. Add the softened butter and mix all ingredients together until it forms a smooth shiny dough. The dough may look loose and wetter than you think it should be, that’s ok. The wetter the dough, the moister your finished brioche product will be. Transfer dough to another bowl, cover with a towel and allow to sit and rise for two hours. Chill dough for at least 2 hours to allow the dough to firm up before using. 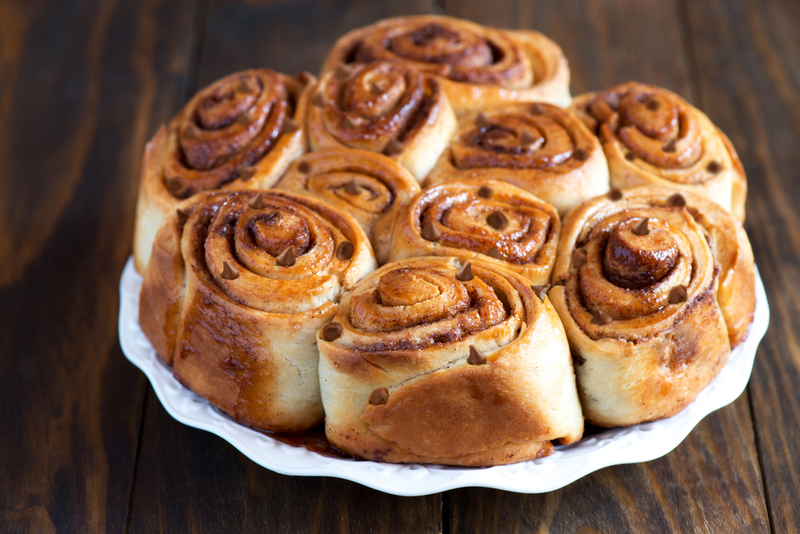 Now that you have your dough, click on an image below and try our recipes!